The Archaeological Tour of Bulgaria introduces you to the most exciting archaeological finds and excavations in Bulgaria. Archaeology in Bulgaria encompasses the history of ancient Greece and Rome, the Thracians and the Varna culture dating back 8000 years. The archaeological tour is a journey of discovery through layers of history that are still be unravelled. All the Mediterranean civilisations have left their mark on the lands now called Bulgaria: Romans, Greeks, Thracians and a much more ancient civilisation dating back over 8000 years, called the Varna culture that predates Sumer. Archaeological finds in Bulgaria include huge Thracian gold hoards and Thracian tombs with stunning architecture and frescoes, also Roman theatres and Greek colonial towns on the Black sea coast. 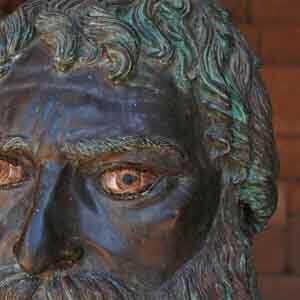 The tour can be lead by a classics or archaeological professor and supported by a local historical tour guide. It is usually 8 days but can be extended to 12 days. It is available from April to October. Sofia the ancient Roman Serdika where new excavations of the Roman garrison have been beautifully and controversially restored. Plovdiv known in ancient times as Philippopolis is at the cross-roads of the Via Diagonalis that connects East to West, Asia to Europe and just north of the Via Egnatia. Kazanluk is famous for the beautiful UNESCO World Heritage Thracian tomb with stunning frescoes of a couple. Perperikon is a huge and unexplained ritual site in the enchanted Rhodope mountains of Orpheus. Villa Armira is one of the best example of a Roman villa outside Italy with stunning mosaics. Sozopol on the Black sea coast was known as Apollonia Magna, an ancient Greek settlement that traded goods with the Thracians inland. Nesebar known as Mesemvria was a rival Greek colony and is now a beautiful UNESCO World Heritage site. Pomorie is mysterious piece of Thracian architecture shaped like the Tree of Life. Varna formerly Odessos is home to the remains of the Varna culture. Kabile is a recently excavated Roman settlement. Stara Zagora was known as Augusta Traiana in Roman and Beroe previously. 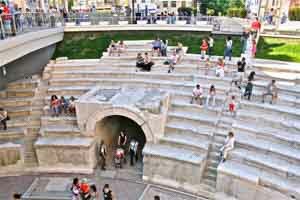 It has many layers of history and its Roman amphitheatre has been restored. Nicopolis ad Istrum: A huge late Roman town in the Danube plain that is still being excavated. During your journey you will hear of stories of Dionysus, Heros the Thracian horseman and Orpheus and the legends of nymphs and maenads. The Archaeological Tour of Bulgaria can be adapted to your personal preferences, time and budget. 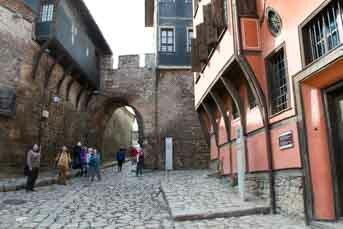 Location: Bulgaria: Sofia, Plovdiv, Stara Zagora, Nesebar, Varna. Food: Full-board breakfasts, lunches and dinners included. More information and photos of the Archaeologicical Tour of Bulgaria.